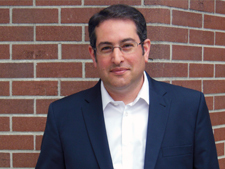 Seth Klein will give a talk on why we need to change our electoral system, he will walk participants through what is on the referendum ballot and explain the three options for a new system, and he will debunk common arguments from the No side. There will be plenty of time for Q&A and discussion. For those planning to run mock referenda in their schools, this workshop will provide valuable background. Seth was hired to open the CCPA’s BC Office in 1996. Under his direction it has become a prominent and widely respected source of public policy research and commentary. Seth’s research deals primarily with welfare policy, poverty, inequality and economic security. A social activist for over 30 years and a former teacher, Seth holds a BA in international relations, a BEd from the University of Toronto and an MA in political science from Simon Fraser University. Seth has been listed by Vancouver Magazine as one of the 50 most powerful people in the city, and by Homemakers Magazine among the “60 men we love.” He does not know how he ended up on either list, but he humbly accepts the latter.